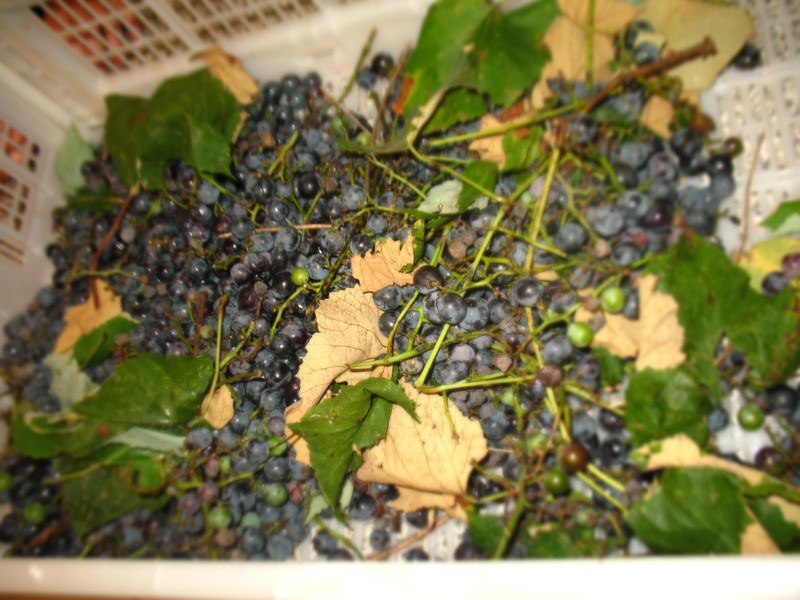 With the “help” of five neighborhood boys (including three of my own) I gleaned my neighbor’s Concord grape vines today. By “help,” I mean that I looked over while teetering (one-footed sometimes) on a crappy old stepstool trying to reach the bunches that had grown into a pine tree—and noticed them all lounging in lawn chairs around the pool, looking at the alpacas in the back property. Thanks guys! 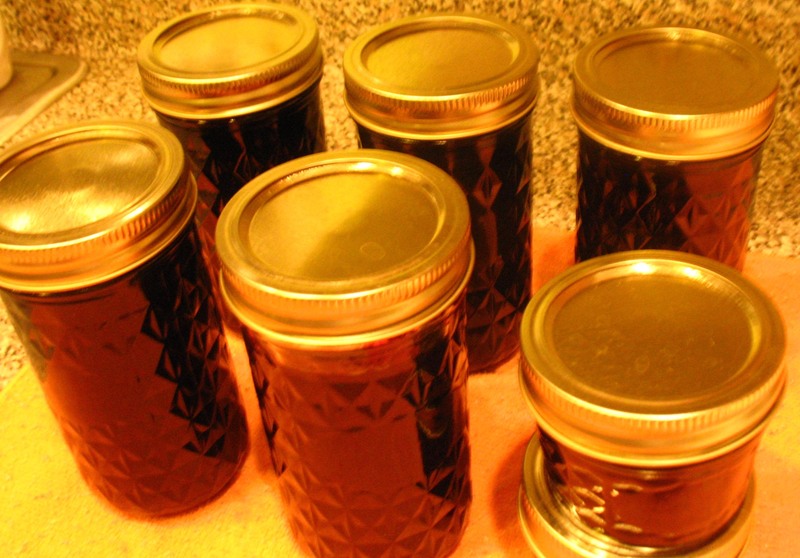 I kept things as simple as possible for my first foray into grape jelly making. 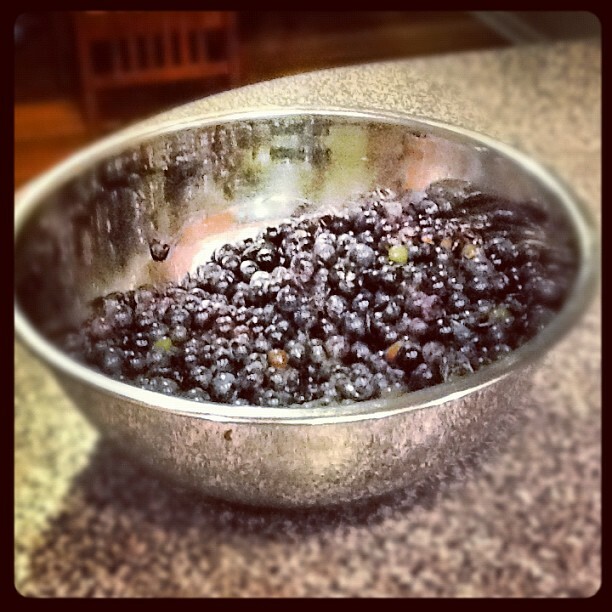 I simmered the grapes in a big pot and tried my best to crush them as they were cooking. I was surprised at how much liquid was available after the initial heating step. After straining all the liquid off, I was left with 5 cups of juice. Miraculously, the exact amount needed per the Sure-Gel recipe I was using. Sweet! This is the setup I needed to do the whole process. 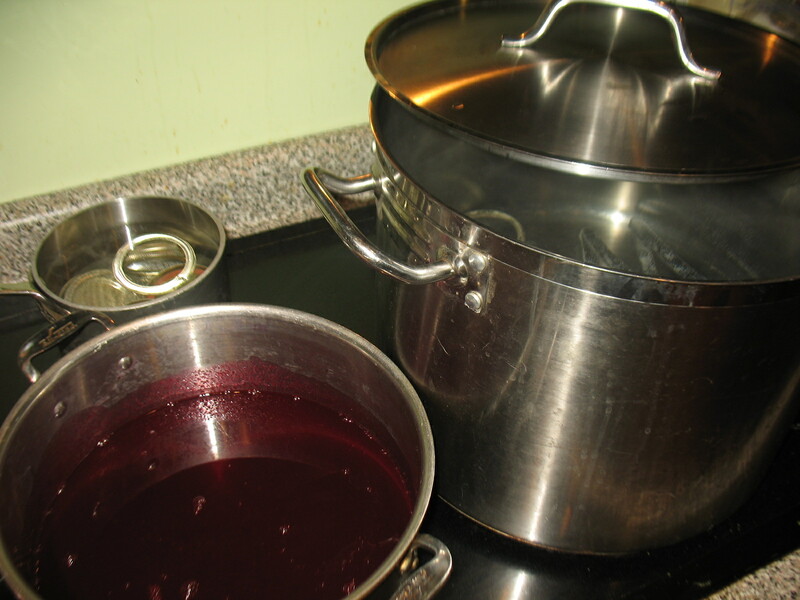 In the end, I only got around 8 cups of jelly, but it’s all I’ll be able to use in a year. 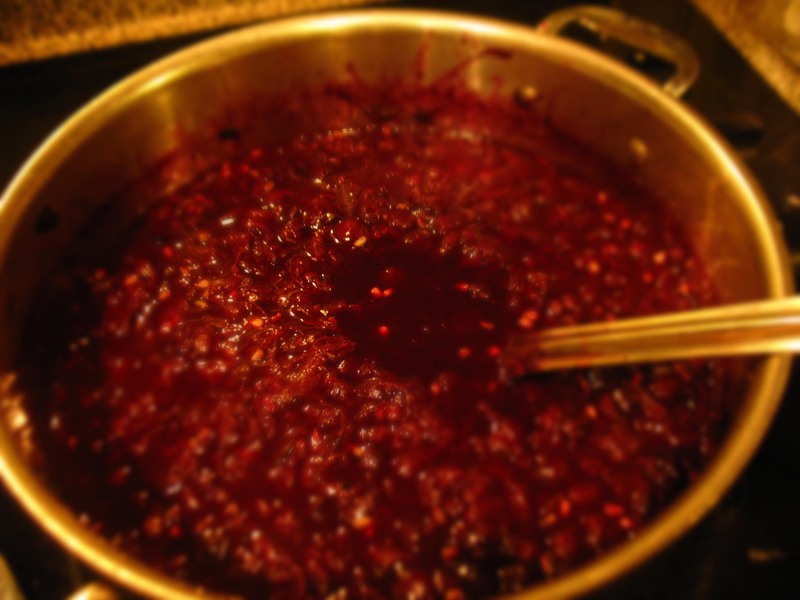 Late in the evening, one of the kids was chomping at the bit to use this homemade jelly for a PB&J sandwich. Although not totally set up, I let him have at it. He told me that it was delicious and tasted *exactly* like “real” grape jelly. Success!